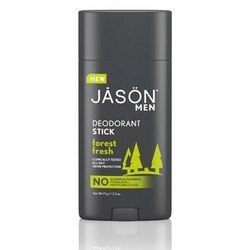 Our deodorant is clinically tested to effectively control odor for all day protection. Naturally sourced Zinc Ricinoleate, Corn Starch and Baking Soda neutralize odor while Grapefruit Seed Extract, known for its antimicrobial properties, helps fight odor-causing bacteria. For a manly kick, Cedarwood, Pine and Eucalyptus Oils provide any extra boost of confidence to your day.